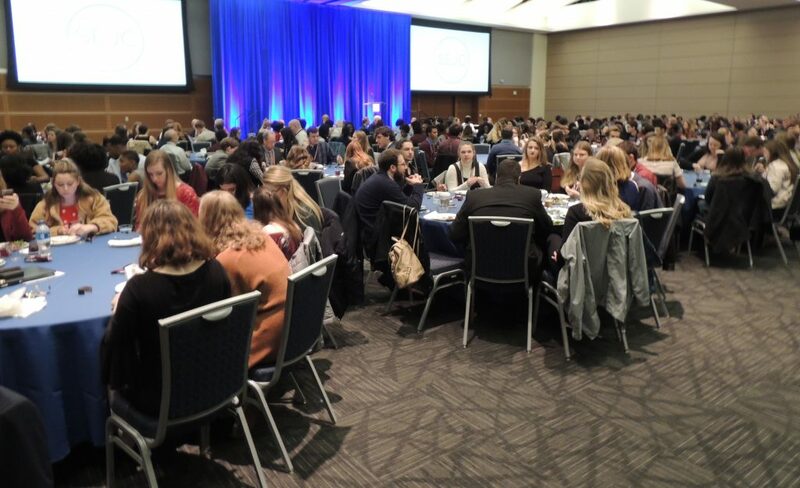 The 33rd Southeast Journalism Conference Convention at Middle Tennessee State University in Murfreesboro, Feb. 14-16, 2019, drew a near-record 333 faculty and students from 32 schools. 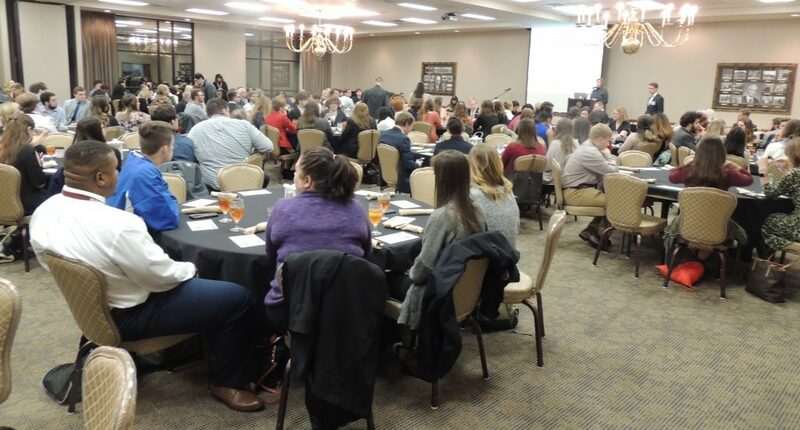 There were 183 awards presented at the Best of the South Awards Banquet on Friday, Feb. 15. The 2018 BOTS competition drew 442 entries from 31 schools. 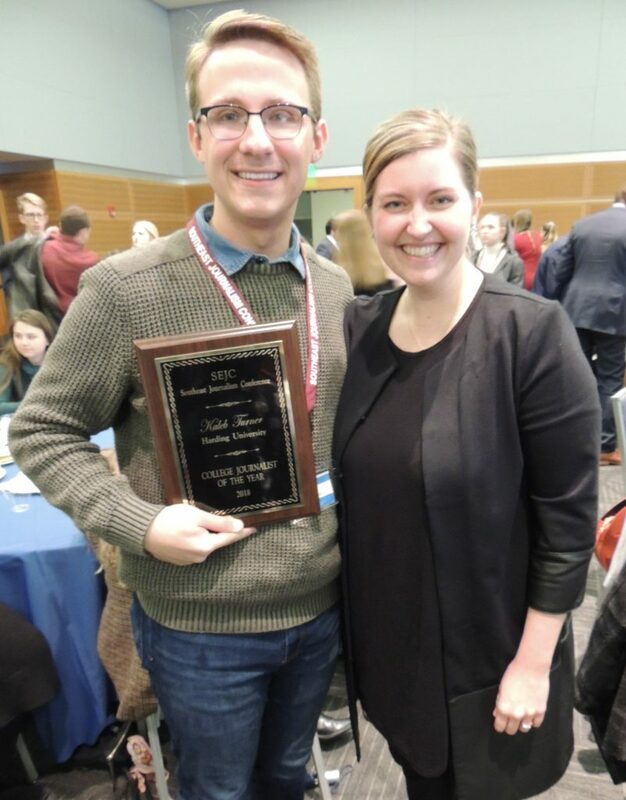 Kaleb A. Turner, editor of The Bison at Harding University in Searcy, Ark., was named College Journalist of the Year in the Best of the South competition for 2018. With him is Harding’s faculty delegate, Katherine Ramirez. 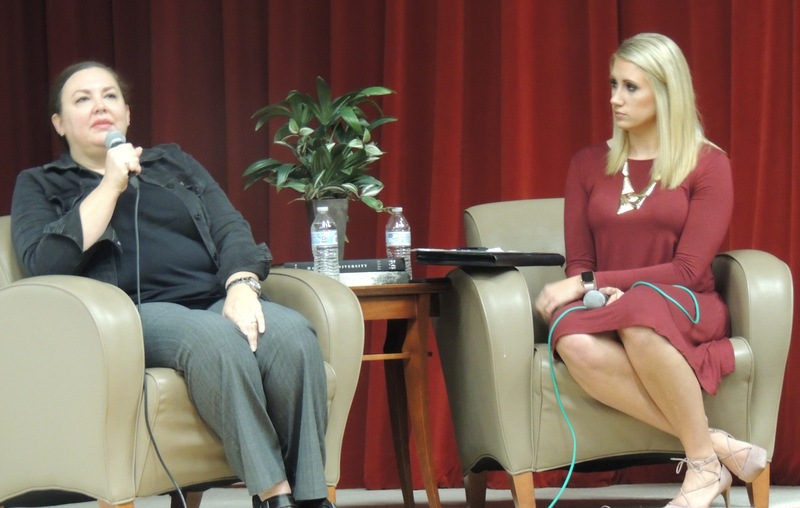 Patricia Thompson, left, of the University of Mississippi, was this year’s recipient of the Journalism Educator of the Year Award, announced by Amber Narro of Southeastern Louisiana University. 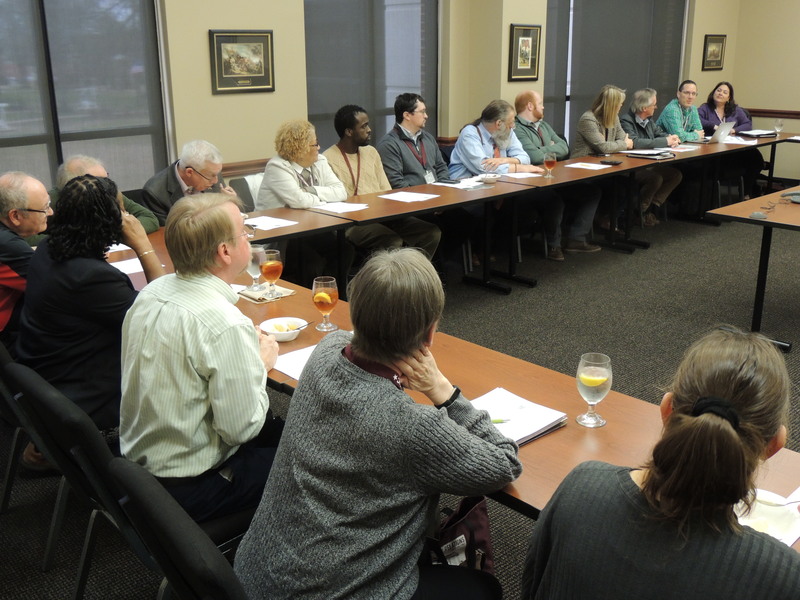 Faculty delegates approved several changes to the SEJC constitution at the business luncheon on Feb. 15. 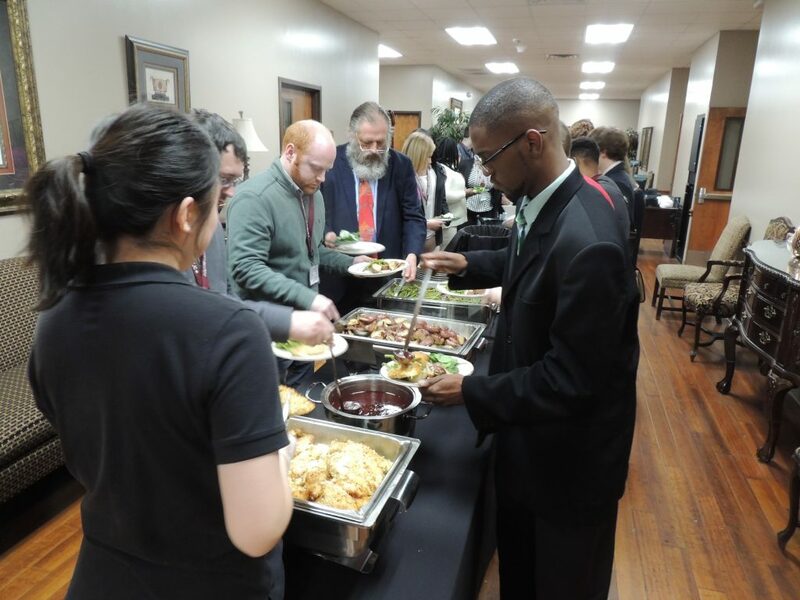 Troy State University in Troy, Ala., was selected to host the 2021 convention. 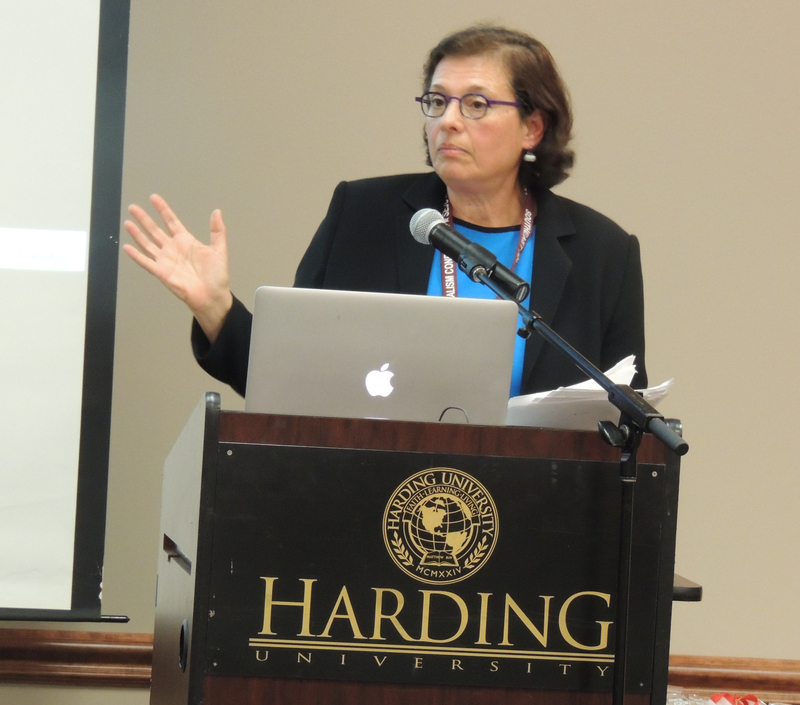 Katherine Ramirez of Harding University, immediate past president, presided over the meeting. 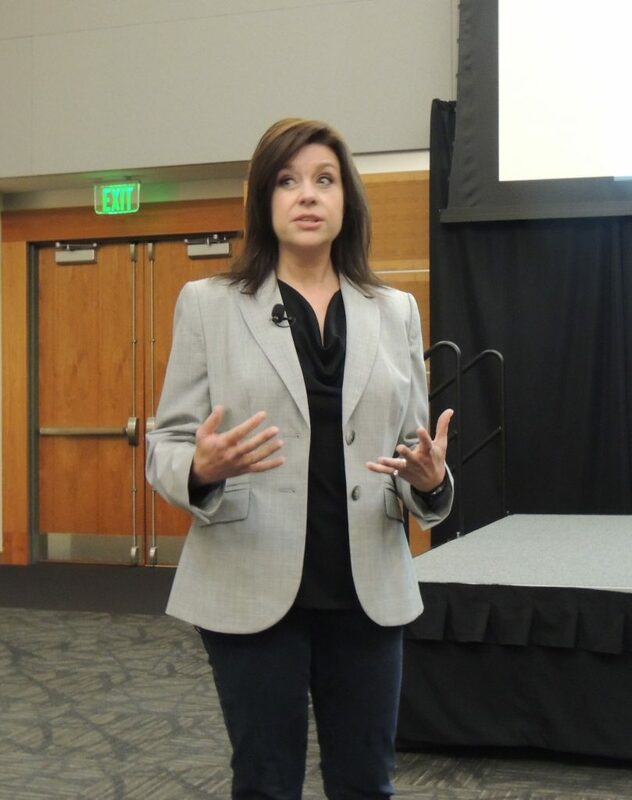 Christine Eschenfelder, who brought more than a dozen years of experience in local TV news when she joined the MTSU faculty in 2015, spoke to students about “finding characters that resonate with an audience.” She offered video examples of compelling human interest stories and explained how she went about developing them. 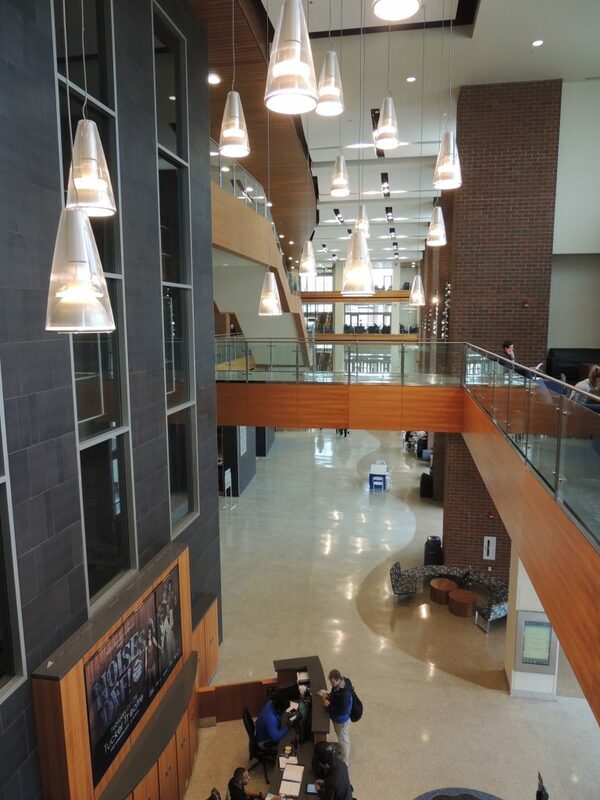 Most of the convention activities took place in MTSU’s impressive Student Union. 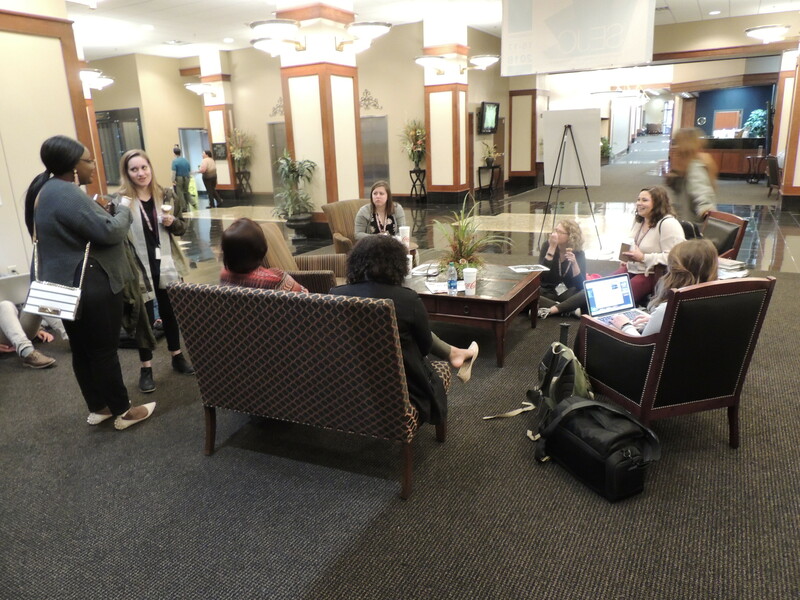 The newspaper exchange is a SEJC tradition, allowing each school to show off its journalistic wares and to borrow ideas from other schools. 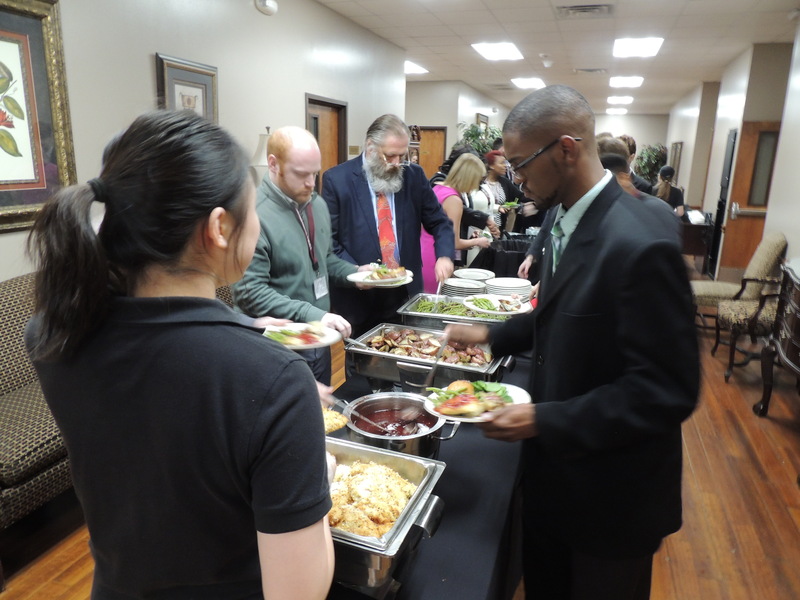 SEJC President Leon Alligood delivered the convention “benediction” at the conclusion of the onsite awards luncheon on Saturday, Feb. 16. “We’re never going to be paid what we should be paid. We’re never going to work an 8-5 job,” he told students. “What you will have is something to look back on and say, ‘I was a part of that. 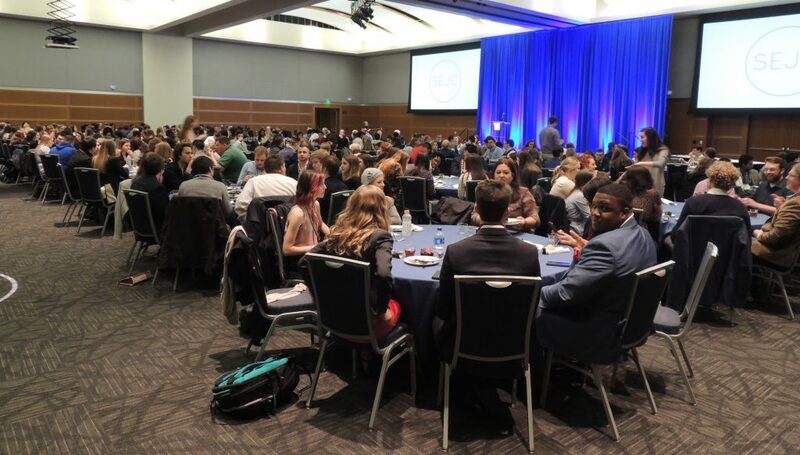 My life will mean something.’” The next convention will be at the University of Southern Mississippi in Hattiesburg, Feb. 13-15, 2020. 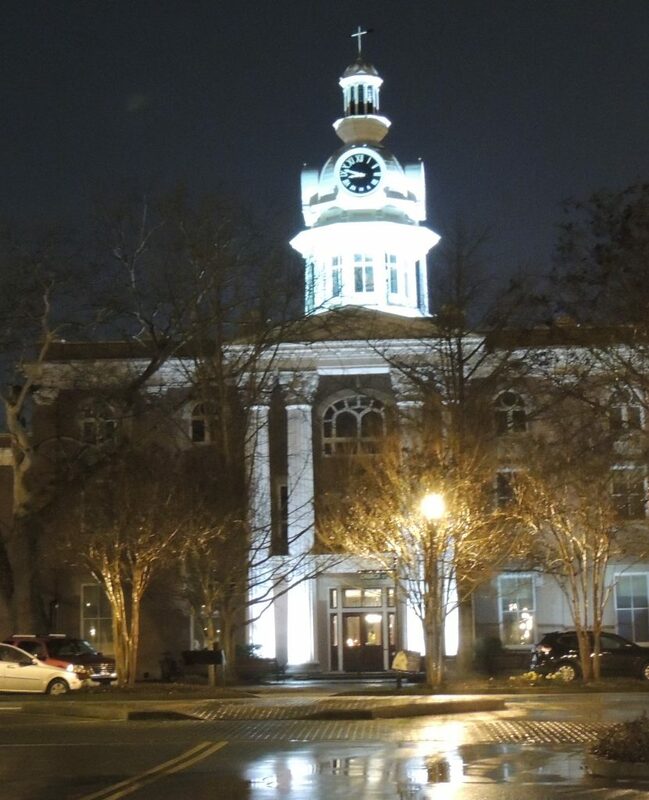 Rutherford County’s antebellum courthouse is an architectural jewel—and especially beautiful at night. 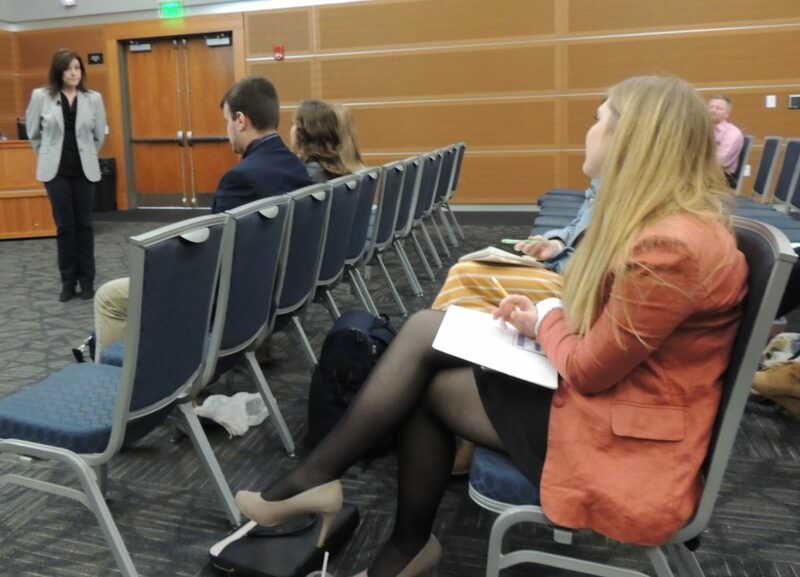 On November 29, past and current presidents of the Southeast Journalism Conference issued a thorough condemnation of the University of North Alabama’s recent actions regarding its Student Media adviser position. The university’s president responded yesterday, defending the university in a letter of his own. 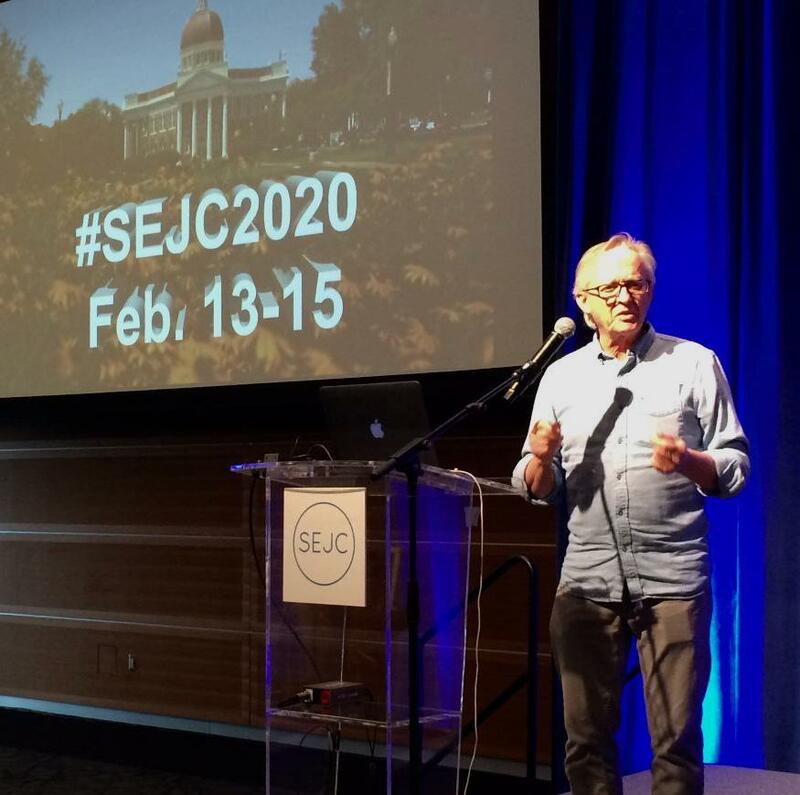 SEJC’s letter was addressed to the university’s president Kenneth Kitts and provost Ross C. Alexander. It was also sent to UNA’s board of trustees and to members of the Alabama Commission on Higher Education. There has been no response as of yet from anyone CCed on the letter. 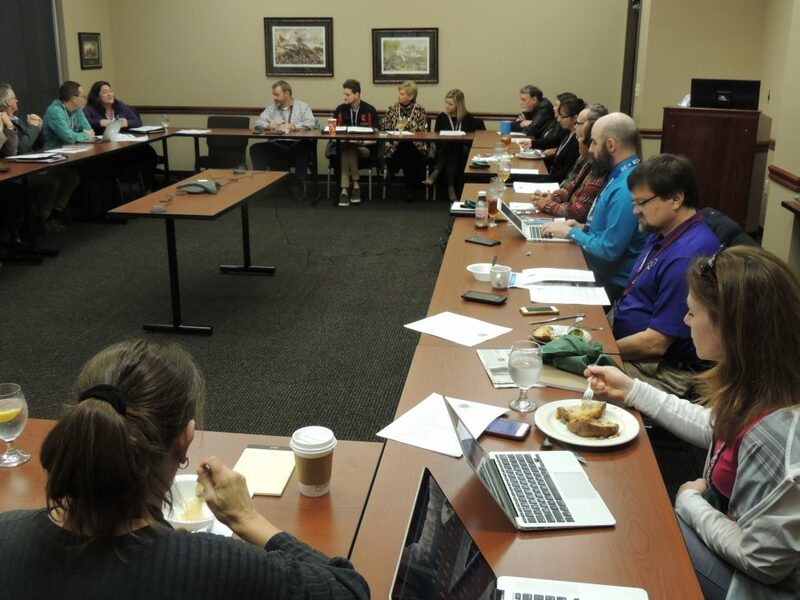 The College Media Association issued a censure on UNA on November 26. 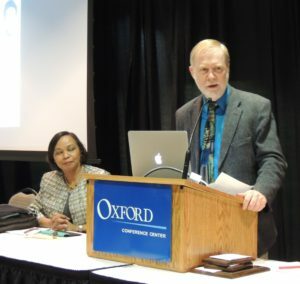 CMA argued administrators “could provide absolutely no correspondence, reports or materials indicating they were thinking of changing (Morris’) position before publication of the Sept. 6 article that students and Morris said instigated the change.” Morris claims that he was made aware his job description only weeks after The Flor-ala reported that UNA administration improperly withheld public documents. However, UNA officials deny any accusations of retaliation. They claim discussions of replacing of Morris’ position with a tenure-track line for a candidate with a terminal degree far pre-date 2018. Kitts maintains this position in his response to SEJC. The SEJC letter also contains an extensive quote from former UNA communications department head Greg Pitts, who disputes the university’s claims, recalling “no talk of converting the position to a faculty line.” He also wrote “If UNA asserts that discussion started in 2014 to change the position to a tenure‐track line, I must add that it did NOT begin with me. If anyone asserts that I made this request, I would describe their claim as FALSE.” Kitts’ letter does not reference these comments nor Pitts’ time with the university. 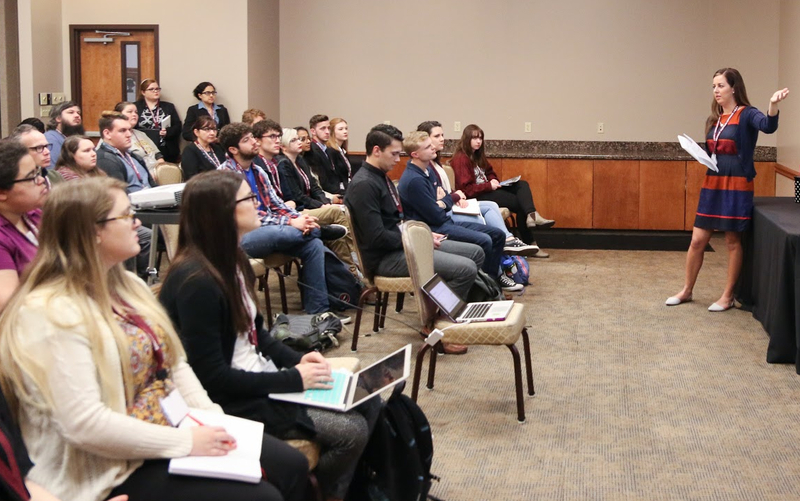 In a story published yesterday by the Student Press Law Center, Morris maintained his stance that the decision was based on student coverage of the administration. “I wouldn’t be surprised if they told me to leave today,” Morris told the SPLC. Alexander was reached for comment for the SPLC story and declined. He did not directly respond to SEJC’s letter. 2018 Convention, Harding University, Searcy, Ark. A total of 213 students and 37 faculty advisers from 28 schools in seven states participated in the 32nd SEJC convention, hosted by Harding University in Searcy, Arkansas, Feb. 15-17, 2018. 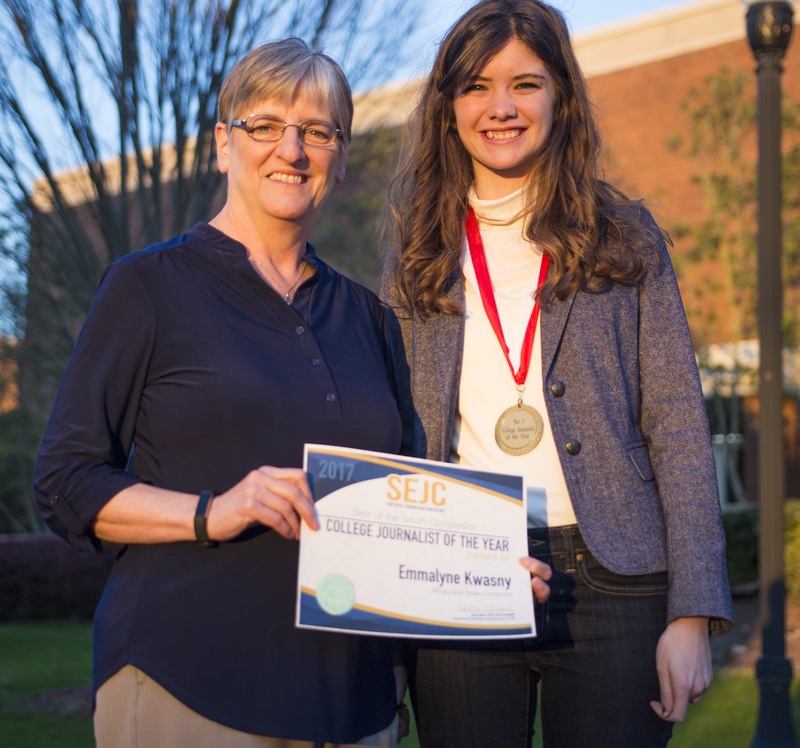 Amber Narro of Southeastern Louisiana University received the Journalism Educator of the Year Award, and Emmalyne Kwasny of Mississippi State University was named College Journalist of the Year at the Best of the South Awards Banquet on Feb. 16. The 2017 BOTS competition drew 412 contestants from 30 schools. 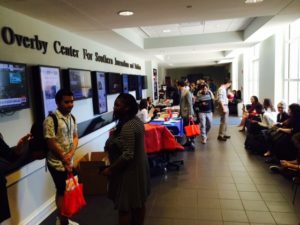 The winners in the 15 categories in this year’s onsite competition were spread among 15 schools. Four new schools were admitted to the SEJC at the business meeting that day: Louisiana College, the University of Arkansas-Little Rock, the University of Central Arkansas and the University of Tennessee-Knoxville. Leon Alligood of Middle Tennessee State University was installed as the new president, succeeding Katherine Ramirez of Harding University. 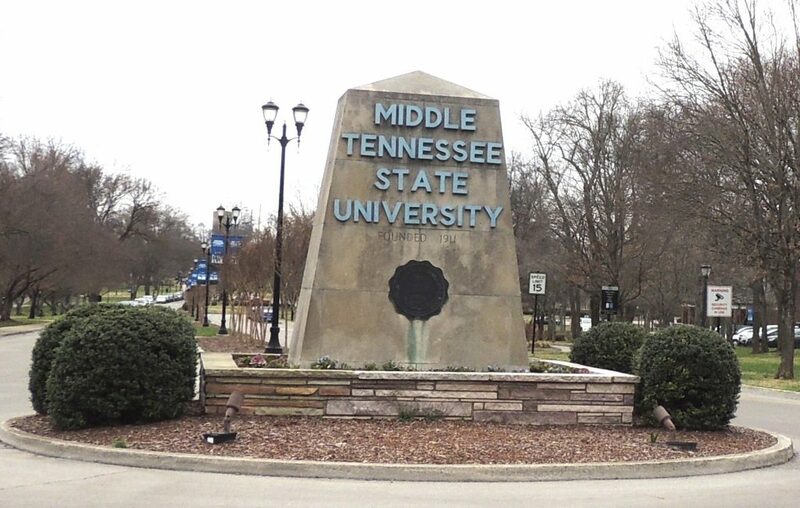 MTSU will be the host for next year’s convention. 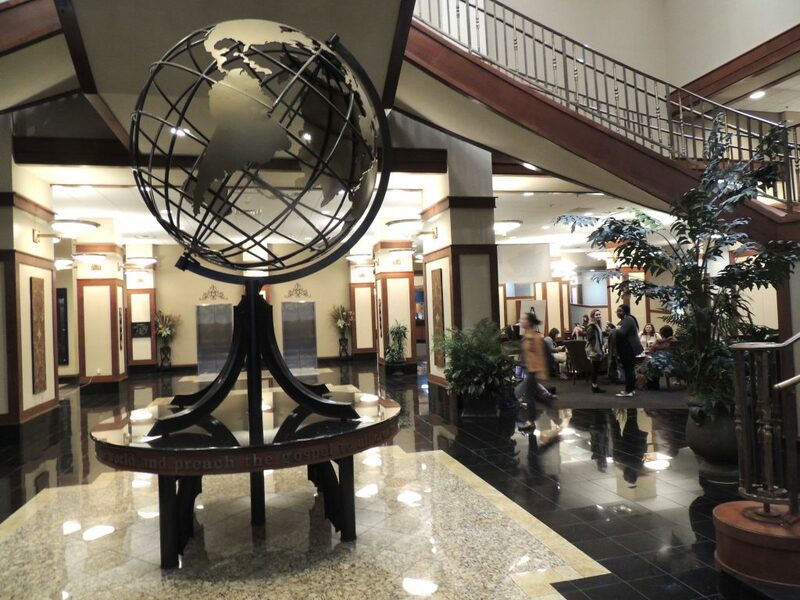 The University of Southern Mississippi was approved as the convention host for 2020. 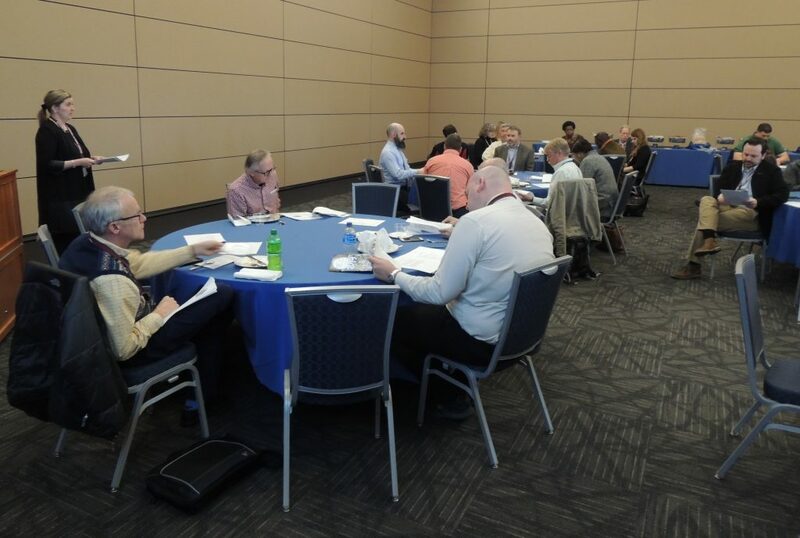 The faculty delegates also discussed the situation at Xavier University in New Orleans, which summarily terminated its long-time newspaper adviser and SEJC faculty delegate, Melinda Shelton, and discontinued the print edition of the student newspaper, the Xavier Herald. 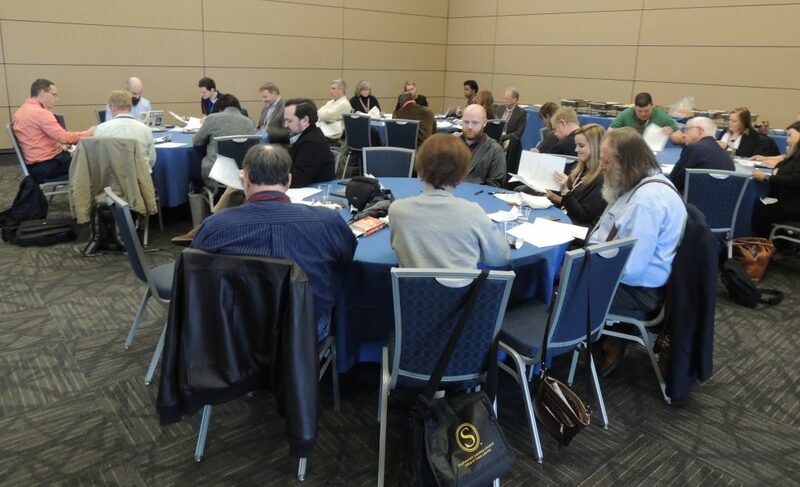 The delegates also paid tribute to Thom Storey, the long-time faculty delegate from Belmont University in Nashville, who died Jan. 10 after a long battle with cancer. 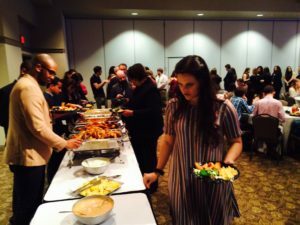 Sonia Nazario, an author and Pulitzer Prize-winning feature writer for the Los Angeles Times, was the keynote speaker at the BOTS Awards Banquet. The daughter of an Argentine immigrant, she has specialized in reporting on malnourished children, the children of drug addicts and immigration. She is the author of “Enrique’s Journey,” a book based on her 2003 series in the Times of a Honduran boy’s struggle to find his mother in the U.S. The 2003 series won the Pulitzer for feature writing. 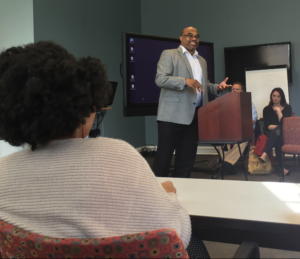 Nazario stressed that although it is important for journalists to examine issues from all angles, there comes a time when activism is necessary. She began her career at 21 as a foreign correspondent in Latin America for the Wall Street Journal. 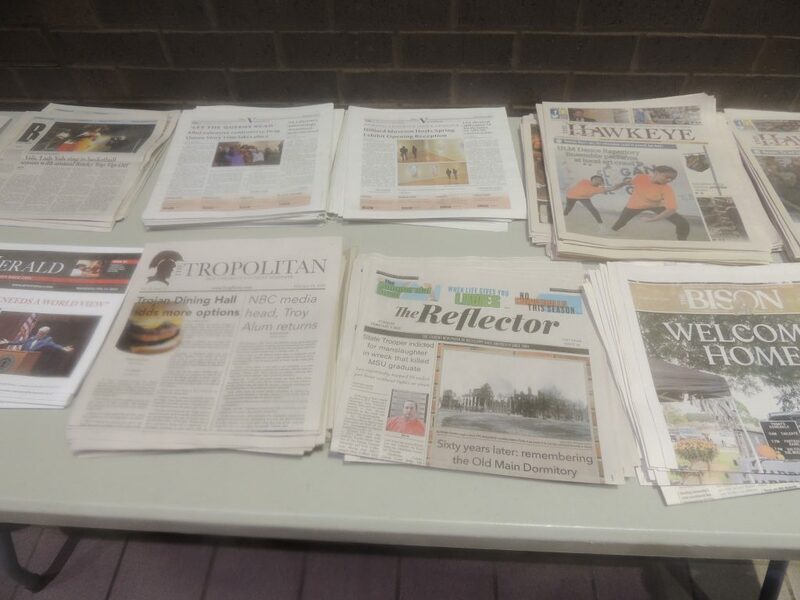 “Enrique’s Journey,” which was on sale at the banquet, won more than two dozen awards besides the Pulitzer, including the George Polk Award for International Reporting. Nazario was also a Pulitzer finalist in 1998 for her reporting on children of addicts, and in 1994 she won a Polk Award for local reporting on hunger among schoolchildren in California. 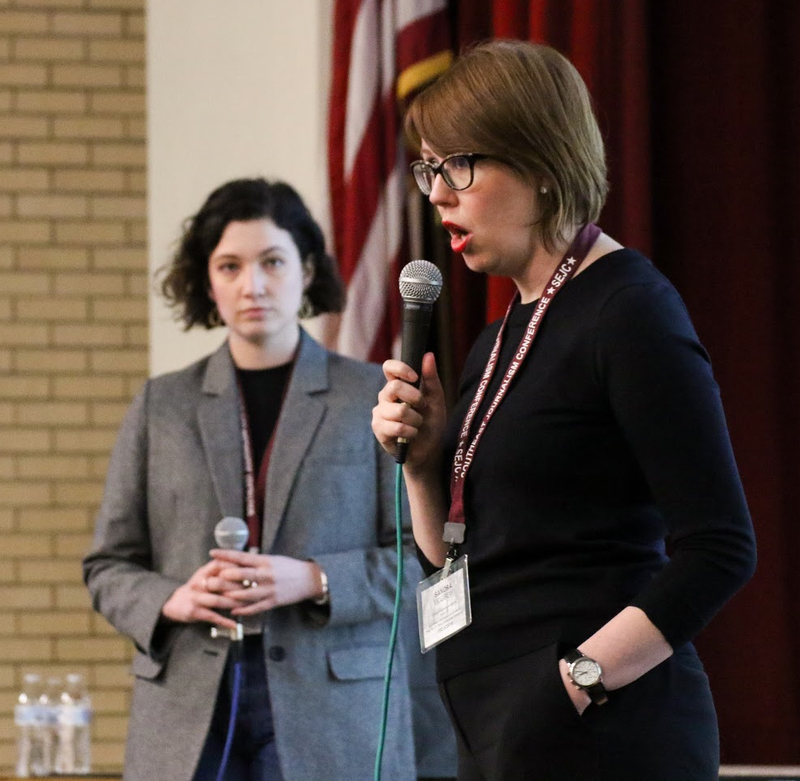 Emmalyne Kwasny, right, editor of The Reflector at Mississippi State University, was named College Journalist of the Year. 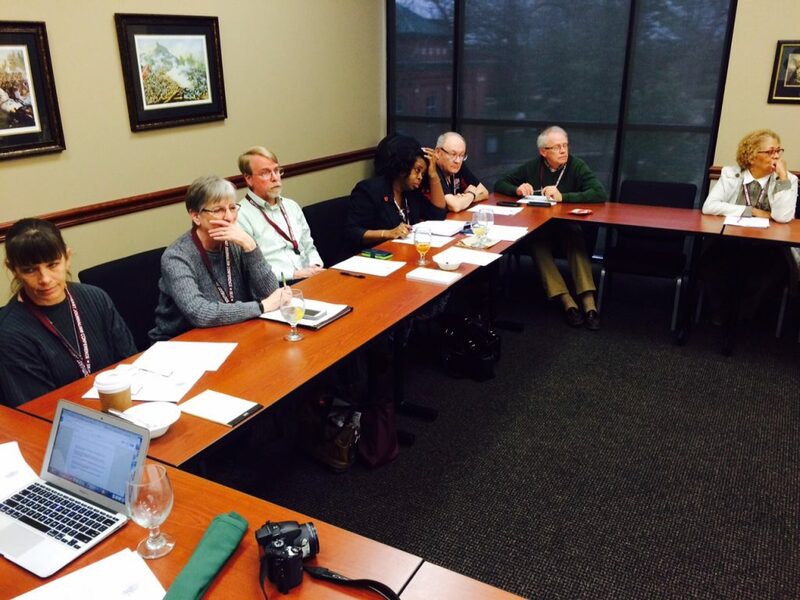 At left is the paper’s faculty adviser and MSU faculty delegate to the SEJC, Frances McDavid. Thom Storey died Wednesday, Jan. 10, 2018, following a lengthy battle with cancer. Thom was a faculty adviser for Belmont University for years and chaperoned students to conferences all over the Southeast. In 1993, he was named Journalism Educator of the Year by SEJC. 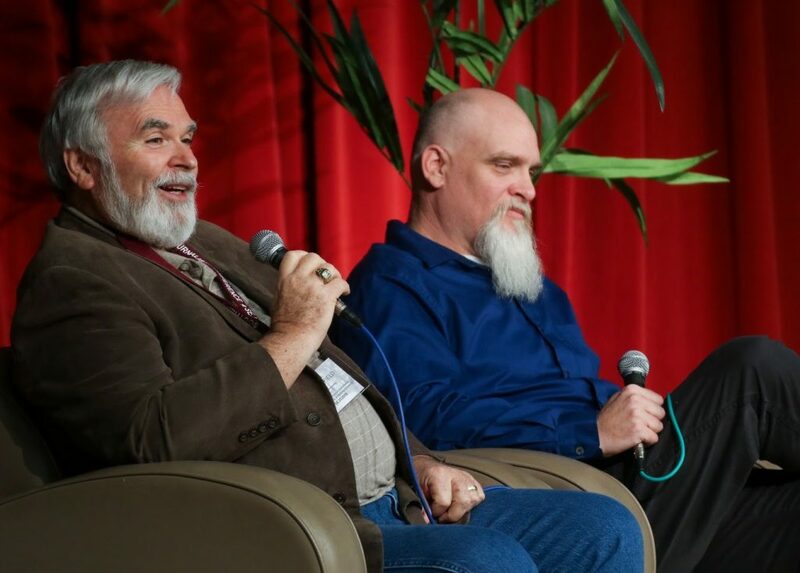 He loved going to SEJC conferences, working with students and catching up with colleagues. Many of you will remember him as the quick-witted man in the Hawaiian shirt. He was a member of the Belmont faculty since 1985 and served as chair of Belmont’s Media Studies department. 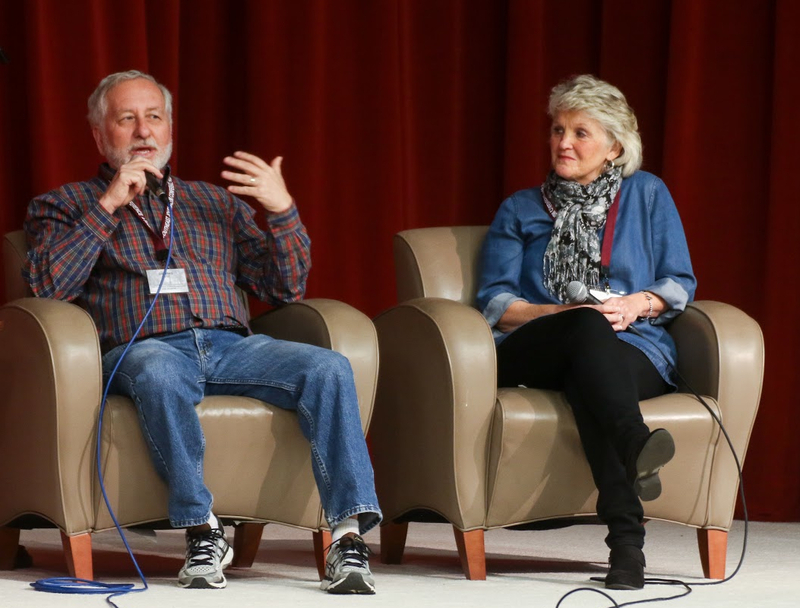 After starting his career as a sports writer and columnist, he moved on to cover a variety of topics, including working as a copy and travel editor at The Tennessean for many years. View the Belmont tribute to Thom: http://belmontvision.com/2018/01/thom-storey-as-remembered-by-students-friends-and-colleagues/. April 7, 2017 Photos by Robert Buckman, Ph.D. 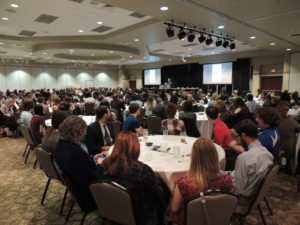 The banquet hall at the Oxford Conference Center was packed for the Best of the South Awards and Jerry Mitchell’s riveting account of his investigations of unsolved civil rights murders. 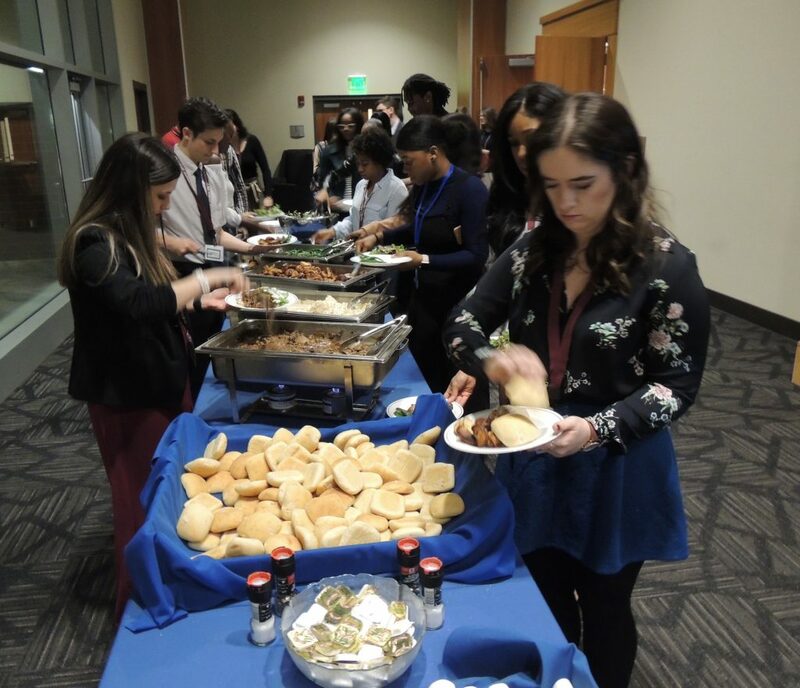 Southern fried catfish was the main course for the BOTS Awards Banquet. 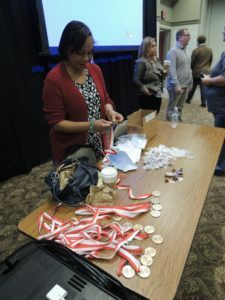 Patricia Thompson organizes the medals before the Onsite Awards Luncheon. Jerry Mitchell, famed investigative reporter for the Jackson Clarion-Ledger, addressed the Best of the South Awards Banquet. 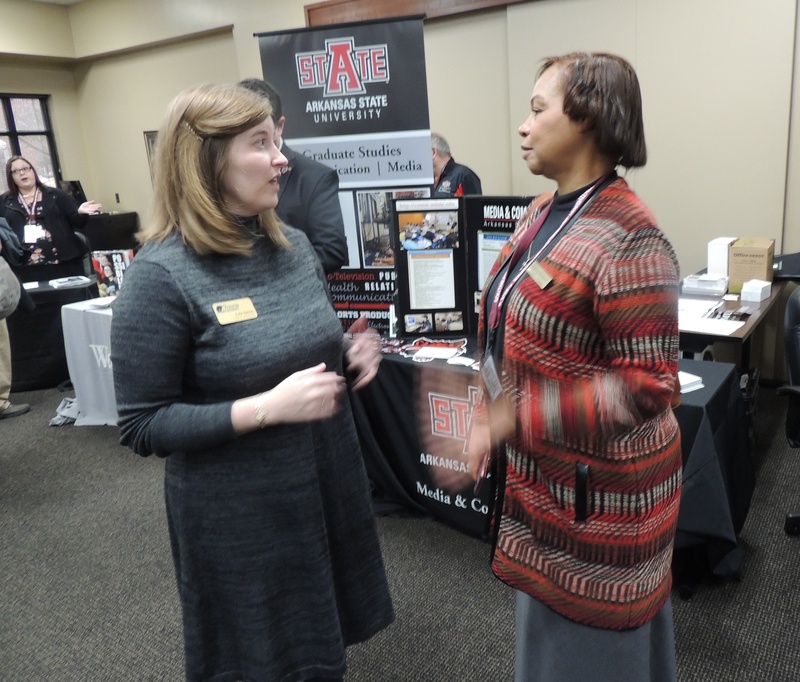 At left is Patricia Thompson of Ole Miss, host of this year’s convention. 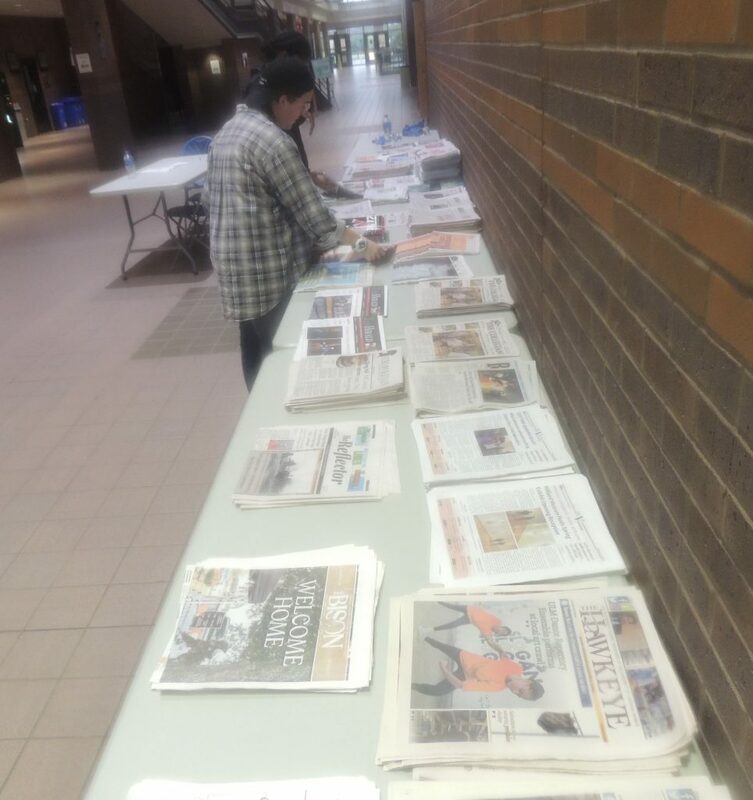 Students peruse the newspapers and magazines from the SEJC’s member schools. 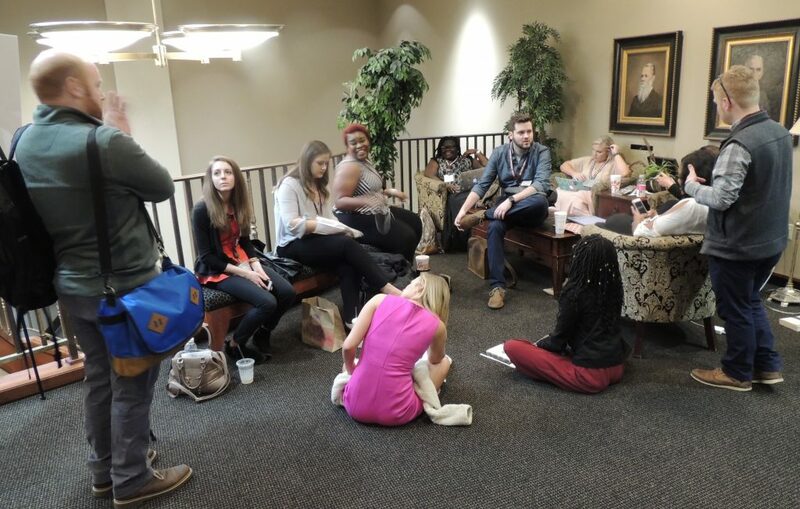 Most of the convention events took place in the Overby Center for Southern Journalism and Politics, which contains fascinating historical exhibits. 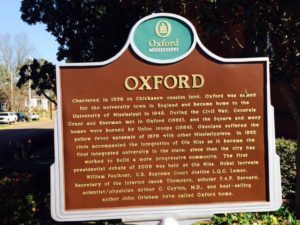 Oxford, the city where the University of Mississippi is located, is fraught with history, including Rowan Oak, home of Nobel Laureate William Faulkner. David Victor, senior staff editor for the New York Times. 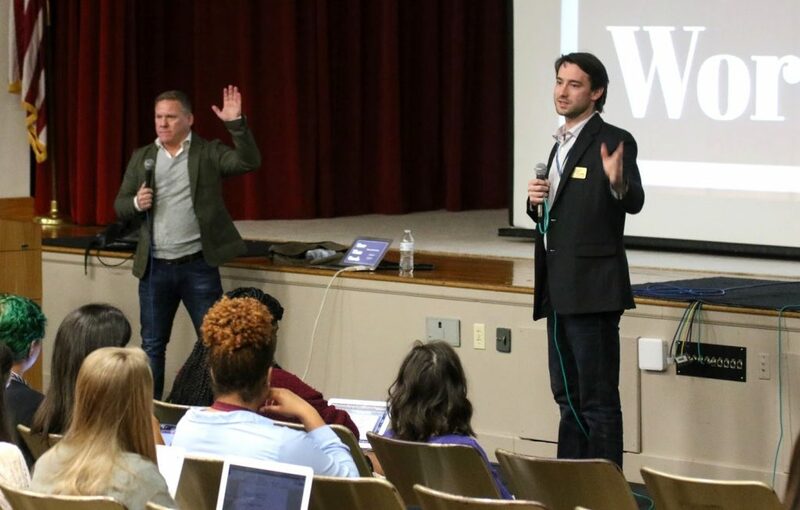 David Victor, senior staff editor for New York Times, presented to an audience of over 60 attendees the different ways reporters can use social media to enhance their storytelling. 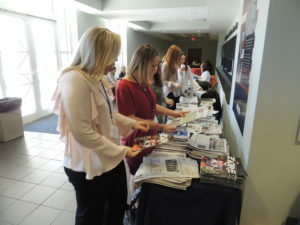 In an hour and 27-minute presentation at the 31st SEJC Convention at the University of Mississippi, Victor revealed a variety of social media tips to young journalists on such networks as Twitter and Facebook, as well as third-party aids to these networks, like CrowdTangle and Tweetdeck. Victor discussed how to search Twitter for story ideas and sources, how to monitor social media and how to find contact sources through social media and building Twitter lists. Without having to go to airlines or ask random people about Orthodox Jews, Victor assisted Paulson in his research for sources and performed what he called “perfect source tweeting”— searching Twitter for keywords a person might use in a situation with an Orthodox Jew or in any other situation. He also stressed the importance of being aware of fake sources and how to verify if the source is telling the truth. 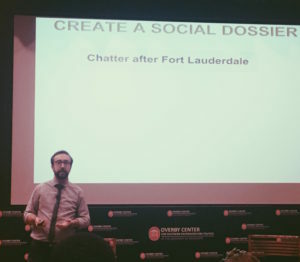 Victor also taught the audience how to build a social dossier, which is a method used by The New York Times to identify people through their social media who may be named in breaking news. In this interactive part of the session, Victor showed the audience his personal Facebook and asked the audience to point out ways to identify if he was real. “Maybe look on the New York Times website to see if you actually have the position that you say you have,” an audience member said to Victor. Searching through people’s profiles and viewing whom they are connected to provides good opportunities to find information on someone and to ask more personalized questions and verifying a source, according to Victor. The social media tool Victor appeared to be the most passionate about, and whose use he encouraged, was Twitter lists. A Twitter list is a curated group of Twitter accounts that a user can personalize for his or her own profile. A user can also subscribe to lists created made by other users. To help with lists, Victor recommended the use of CrowdTangle, a third-party website that helps keep better track of your lists. Also, Victor discussed how to talk to a source online for a potential quote or how to find general information you’re using in your story. “Be specific about what you want and keep your requests simple,” he said. Victor has worked for the Times for four years. Previously, he had served as the social media editor for ProPublica Inc. He graduated from Penn State University with a degree in journalism and is originally from Boalsburg, Pennsylvania. 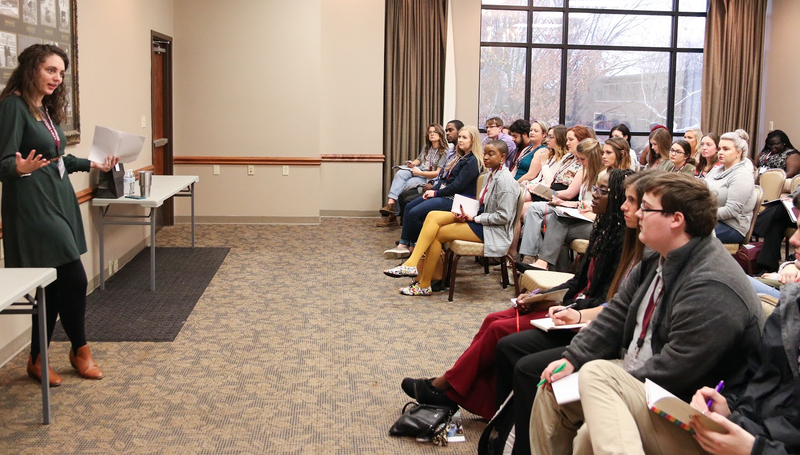 Jesse Holland speaks to student and professional journalists at the 2017 SEJC convention in Oxford, Mississippi, about reporting on race and ethnicity in a changing U.S.
Jesse Holland, Associated Press race and ethnicity reporter and author, spent an hour and 15 minutes with student journalists at the SEJC conference at the University of Mississippi in Oxford talking about how reporting on race and ethnicity is a changing field. The first few years were spent crossing the country, covering stories of tragedy and racial violence. Holland said some of his favorite stories he’s done under the race and ethnicity beat have been about history. By 2040, Holland said, the U.S. will become a minority-majority country. “And that means, for the first time in its history, there will not be a majority race in America. There will only be a collection of minorities,” he explained. “No race will be more than 50 percent, and this is according to the U.S. Census. The second change, Holland said, is going to be covering white Americans as a minority. 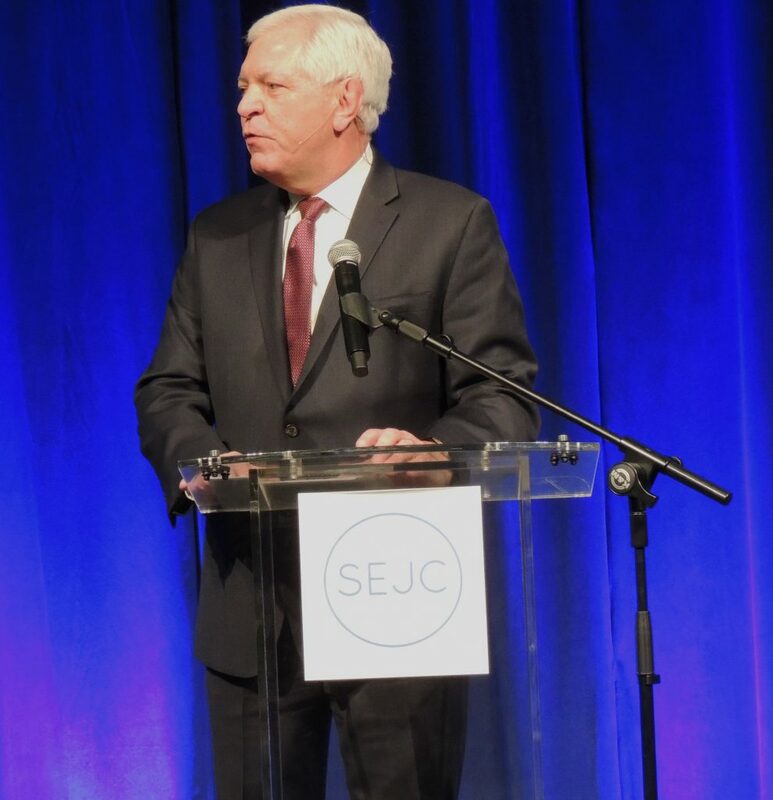 Jerry Mitchell, veteran investigative reporter for the Jackson Clarion-Ledger, reminisced on his journalistic legacy of bringing justice to former Klu Klux Klansmen during his speech at the SEJC Best of the South Awards Banquet on Friday, Feb. 17. He noted this difference can come in many forms: by telling stories, telling the truth or even changing the conversation. Mitchell is a Pulitzer Prize finalist and won a MacArthur genius grant. His career has focused mainly on racially motivated crimes and racial reconciliation; his investigative endeavors and stories led to the conviction of four Klansmen. “You have far more power than you realize,” he told the students. Mitchell said he’s always been inspired by Medgar Evers, a NAACP field secretary who investigated racial crimes, such as the infamous Emmett Till murder in Mississippi in 1954. Evers, 37, was shot and killed in his driveway on June 12, 1963, by Byron De La Beckwith, a Klansman. Mitchell discovered the Mississippi Legislature had sealed all the records concerning Evers’ death for 50 years. That was his cue to start digging. He discovered the Mississippi State Sovereignty Committee aided De La Beckwith’s defense attorney to keep him from being convicted. Thirty years later, Mitchell interviewed De La Beckwith and later found himself in the courtroom when De La Beckwith was finally convicted for Evers’ murder. “I just felt chills, because the impossible had suddenly become possible. 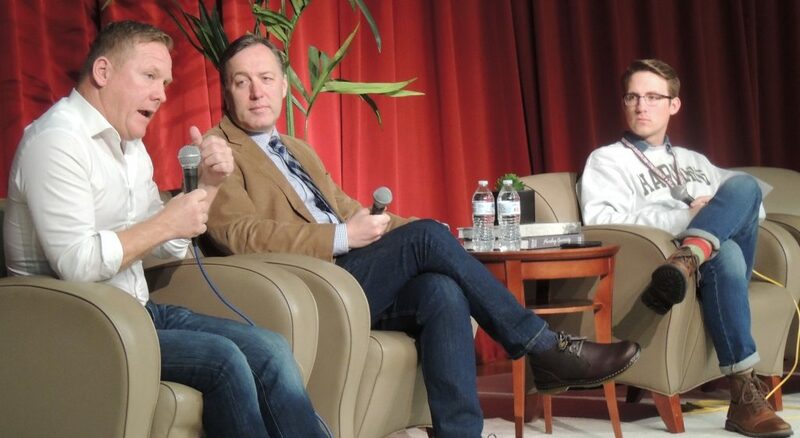 I believe that’s what journalism is all about,” Mitchell said. At the end of his speech, Mitchell addressed the public’s attitude toward news media today. 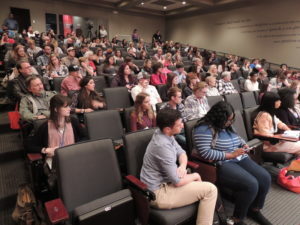 He mentioned how people are calling the press “dishonest,” but brushed it off with, “Oh, please, I’ve had worse insults from Klansmen.” He noted his career has been filled with death threats, as many journalists’ lives are, but encouraged students not to be afraid of what people say. 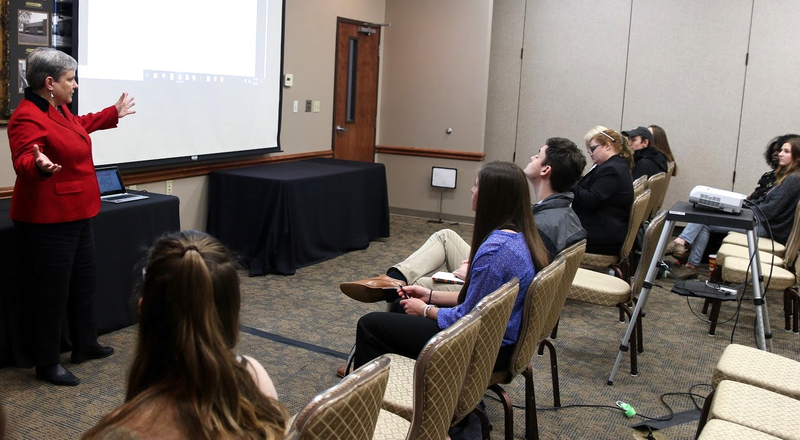 Deb Wenger, a trainer of Google News Lab, led an interactive presentation at the SEJC convention at Ole Miss, which demonstrated ways that aspiring journalists can utilize accessible tools to improve their future writings. “How many of you search Google more than 10 times a day?” Wenger asked to a crowd of about 40 students as she introduced her presentation. All hands in the audience rose in response. “The goal of the perfect search engine is to understand exactly what you need and return exactly the results that you want, regardless of what you put in the search box,” she declared. Wenger showed how searches can be narrowed, depending on what is entered in the search bar. 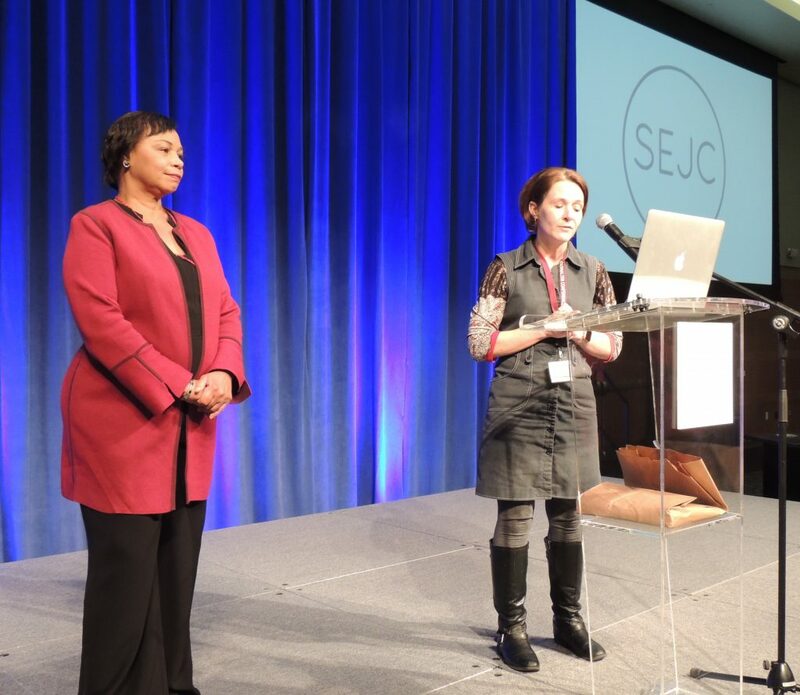 She exhibited how to include or exclude words that appear in search results, as well as how to locate postings specifically from certain domains or posted by particular websites. “This is a good tool if you do a lot of Google searches to refine and narrow what you get,” she reiterated. Wenger then shifted from word searches, to image searches. The majority of hands rose again. Wenger stressed the importance of using searched images in stories if the rights are available. “The one that you’re looking for is the one that is labeled for reuse and modification. That means that you can take that photo and do what you want with it,” she explained. 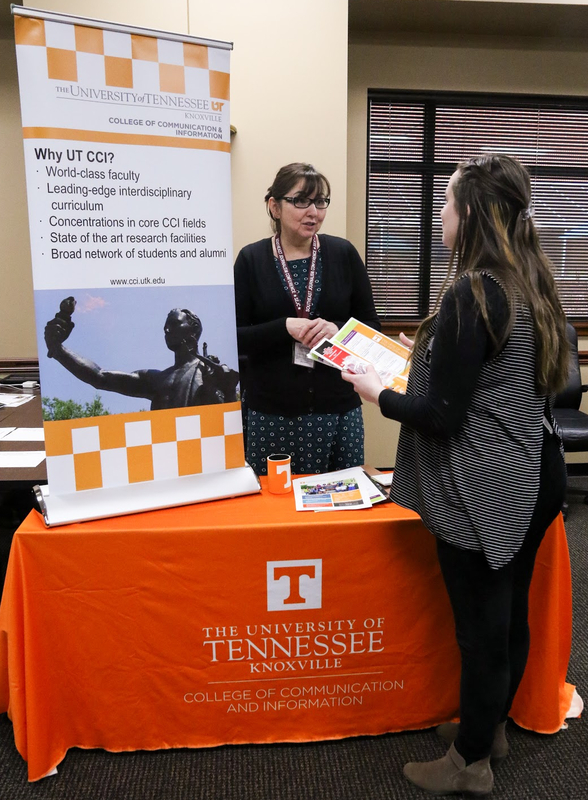 She also showed attendees how to conduct a reverse image search, to discover where an image originated. She stressed that reverse image searches can often unveil hoaxes or “fake news” once the origin is discovered. She projected another image of a ballot, circulated on Election Day, which claimed Donald Trump was not on the ballot in Oregon. After another reverse image search, it was revealed that the photo originated from a man’s personal Facebook profile. “It’s probably not an official ballot if it’s on only one guy’s Facebook feed,” she suggested. 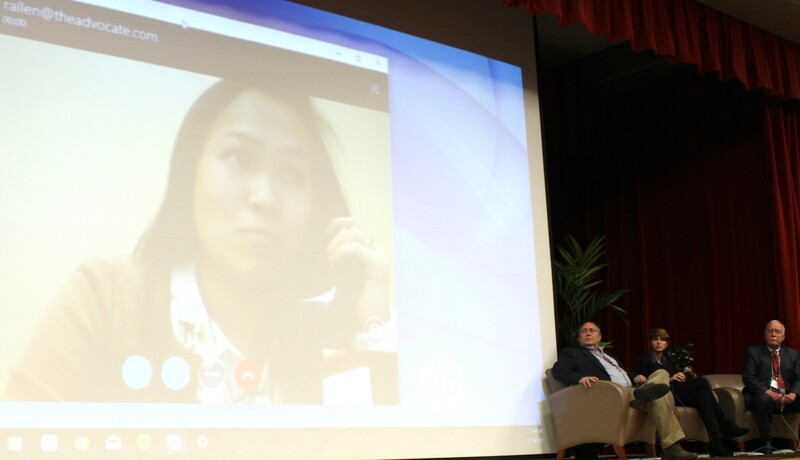 Wenger joked that she uses this feature to check pictures provided by students as excuses from tests and homework assignments. She gave the example of a reverse search that she did on a picture of a car accident. The audience joined her laughter. “This is where I think it gets fun,” she said as she switched gears from image searching to discussing Google Trends. Google Trends tracks the trends of popular internet searches, updating results every three to five minutes. “We’ve become a much better predictor in breaking news situations about what the problems are that people are interested in,” she proclaimed. Wenger asked the audience to guess one of the five most commonly searched cities in the United States within the past year. 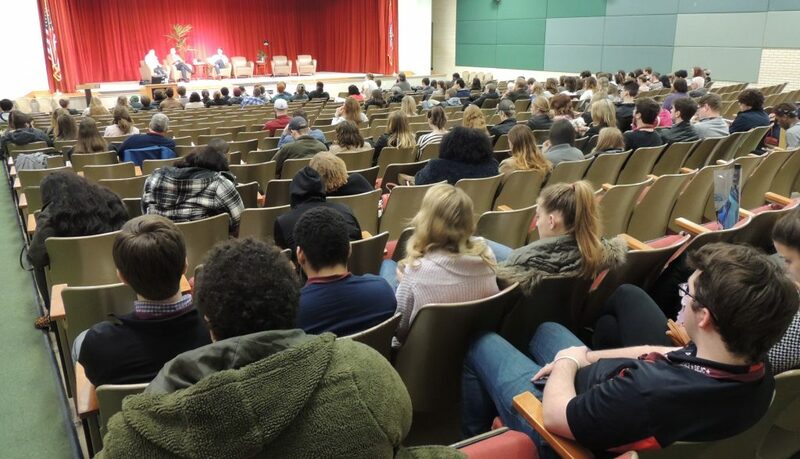 “I still haven’t heard one,” she teased as an array of incorrect cities were called out from eager students of the audience. Eventually, a student called out, “Flint, Michigan?” and was rewarded with a large T-shirt that Wenger tossed across the room to him. She flashed the five most-searched cities on the projector: Flint, Baton Rouge, Charlotte, Dallas and Palm Springs. She continued to test and toss T-shirts to other students who correctly responded and exclaimed trends. “The most important thing for us as journalists to think about with Google Trends, is how much more honest it is than polling or talking to people. 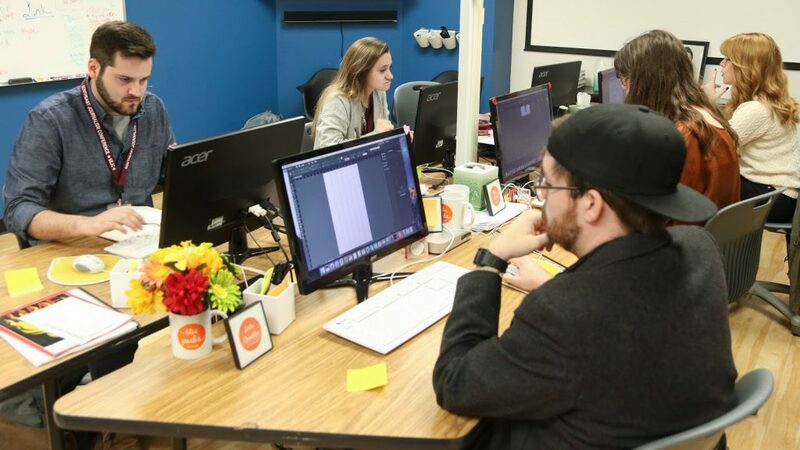 It allows us to connect to our audience about what they’re really asking questions about,” she said. Searching behind a computer is a safe, judge-free zone, she said. People are more likely to ask questions behind the safety of a screen, than to risk potential ridicule for ignorance from peers. 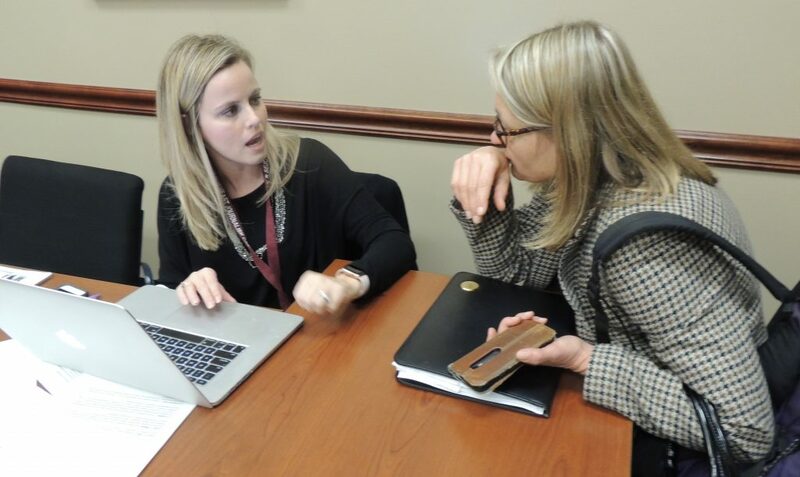 “We always have to take this data and apply it to journalism,” she explained. She elaborated that through Google Trends, journalists can get ideas on what questions people want answered in stories, as well as what topics people care to read about. She offered one final tip regarding how stories can be improved through the use of visuals and maps, by utilizing My Maps and Google Street View. She prompted attendees to download the Google Street View application. She then urged everyone to test it by standing, rotating in place and taking a 360-degree photo of the auditorium. Wenger also explained how maps serve as a helpful contribution to stories. She gave the example of a map that tracked the path of Malaysia Airlines 370 before it disappeared. This map was featured in a story about the crash. She also provided the example of a map pinpointing where fires were in California embedded in a fire cover story. Through the many Google News Lab training sessions that Wenger has led, she said she often finds that many journalists are ignorant of how to access of these tools.